Borobudur Temple was built during the golden age of Syailendra Dynasty, sometime in the beginning of the 8th century.The word Borobudur is believed to mean monastery on a hill. It is derived from the words baram and buduhur. Bara is from Sangskrit word Vihara meaning a complex of temples monasteries or dormitories, Beduhur is a old Javanese word meaning above. Borobudur Temple was built on a small hill in the Kedu Basin, a rich, fertile valley sourrounded by the spectacular volcanoes. To the East lies Merapi and Merbabu and to the North lies Sumbing and Sindoro. The unsual jagged Menoreh Hills encircle the temple to South and West. The temple is also located near the meeting place of two rivers, the Elo and the Progo, these rivers are believed to be symbolic of Gangga and Yamuna, two rivers feeding the Indus valley in India. We get a sense of the grandness of the landscape when we rise to final terrace of the monument which opens up into 360 degrees view of the magnificent valley. 07.30 Begin your tour in the morning drive to the northwest of Jogja (about 42 kilometers). Find the magnificent Borobudur stands on a hillock with seven square terraces represent the steps of from the earthly realm to the nirvana at the three circular terraces to the biggest mother stupa at top. Thousand reliefs panels here depict the birth, enlightenment, the death Buddha and the journey of Boddhisatwas. 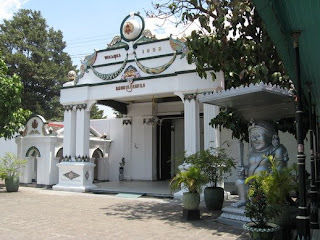 Later on, pay visit to Pawon and Mendut temple nearby on the way to Yogyakarta. 1. Transport with private car. 3. English Speaking Tour Guide. 4. 1 x lunches at local restaurant. Please feel free to contact us to get more information. Copyright©2009- 2014. YOGYA TOURS INDONESIA. The Indonesia Tour Operator and Travel Service. 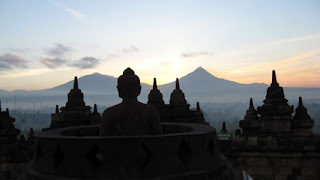 Borobudur Tour, Visit Borobudur Yogyakarta Tour, Hotel in Yogyakarta, Car hire in Yogyakarta, Bromo Tour, Kawah Ijen Tour, Java Island Overland Tour, Cruise Ship Ground Handling. Copy a part or full page is an illegal action. All rights reserved.